Valley Church Beach: One of the Best in the Caribbean! With white sand and sparkling turquoise water, it comes as no surprise that the Caribbean Journal has named Valley Church Beach one of the best beaches in the Caribbean. At Sugar Ridge we are pleased to offer our guests complimentary shuttle service to Valley Church, and it doesn’t stop there either. As if it were an extension of our resort, Sugar Ridge attendants are stationed at the beach to ensure that you are comfortably set up with a chair and umbrella and receive drinks at your seat. If you’re staying with us on an All Inclusive package, enjoy signing privileges at the beach, too! 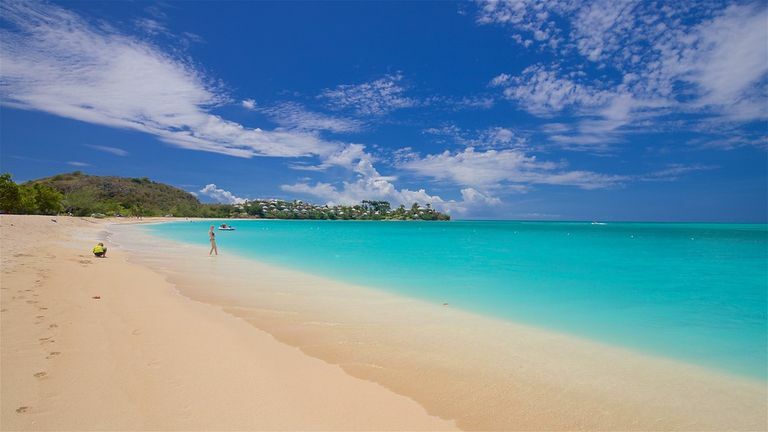 We look forward to taking you to Valley Church and showing you the beauty that awaits at Antigua’s beaches! Interested in learning more about our beach service? Please click here.